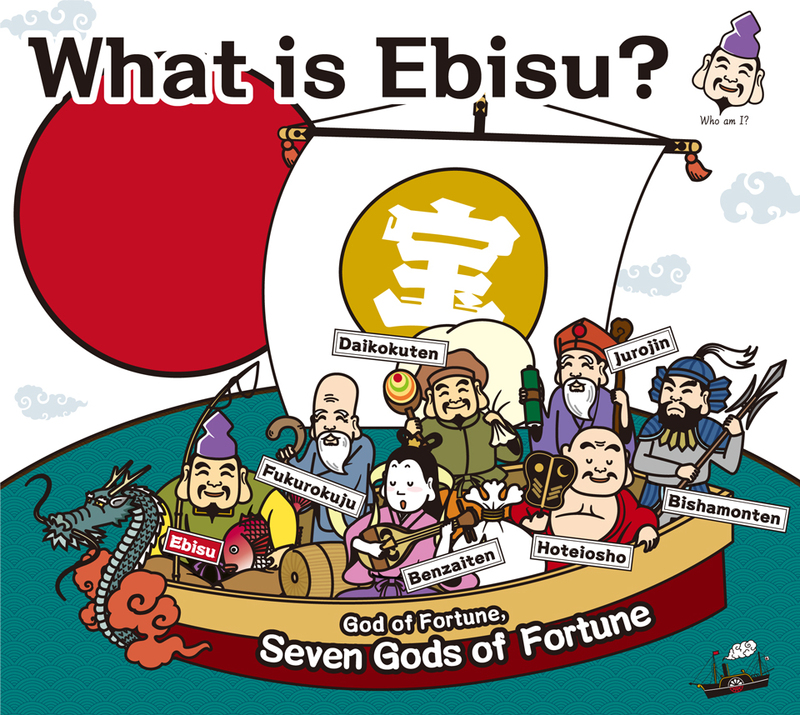 Ebisu is one of the Seven Gods of Fortune who are well-known as gods who bringgood fortune. The Seven Gods of Fortune have been familiar with Japanese as Gods with different blessings and worshipped since olden times. But in fact, they consist of members with international characters, some of whom arefrom India and China. Ebisu is the only god to originate from Japan. 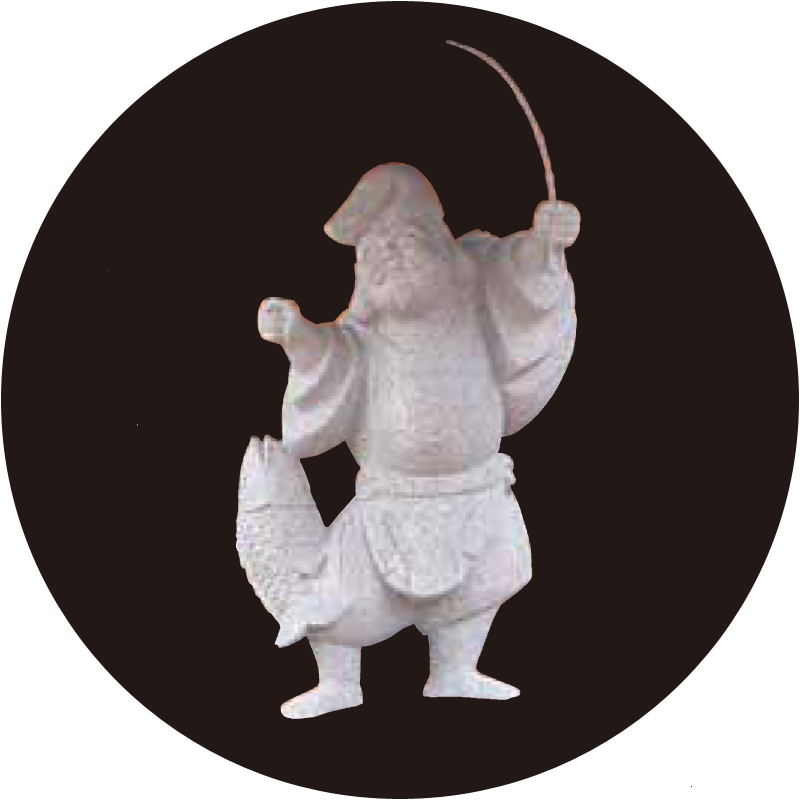 Ebisu generally has a fishing rod on his right hand and carries a sea bream under his left arm. He is worshipped as a god for merchants, or a god for prosperous business.